You are pre-approved, you found your dream home, and your offer was accepted. At this point, a common question, especially among first-time homebuyers, is how long it will take to close on the home. Here is a short guide to help you understand how the escrow process works in California and how long the closing process may take. The term “escrow” refers to the time frame and events between contract and closing. It starts when you sign a purchase contract with the seller and ends when you close on the house. In California, the closing process is different in northern California versus southern California. The primary difference between the two is escrow instructions are drawn and signed on the front end (shortly after offer acceptance) in southern California and on the back end (just before closing) in northern California. Several steps happen during the escrow process in California that include the home appraisal, inspection, mortgage underwriting, title search, and document preparation. Before any escrow can close, all the terms and conditions of the purchase contract must be met; then the seller deposits the deed and the buyer deposits the funds. 1. Escrow begins. The process starts when the homebuyer signs a real estate purchase agreement/contract with the seller. In most cases, the buyer will also make an earnest money deposit at this point. Initial documents and deposit funds are delivered to the escrow agent. 2. Lender orders an appraisal. Once the homebuyer has entered escrow, the mortgage lender will order a home appraisal. The appraiser’s job is to determine how much the house is worth in the current market. This helps prevent a situation where the home loan exceeds the value of the property. 3. Title search. The “title” is a legal term that refers to ownership. When you have the title to something, you own it. 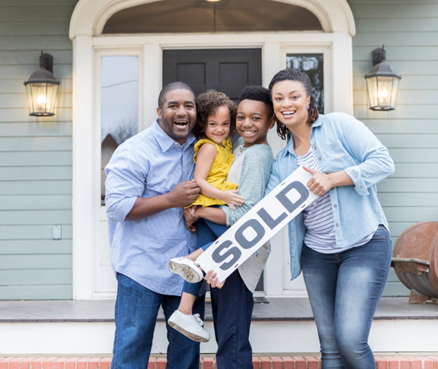 As part of the escrow process, a title company will check to ensure that there is a clear chain of ownership, with no liens or court filings that might prevent a sale. 4. Document preparation. The mortgage lender produces a variety of documents relating to the home loan and delivers them to the escrow agent or company. The escrow agent will check these “loan docs” and other related paperwork to ensure that everything is complete and ready for closing. They will also tally up the buyers’ and sellers’ closing costs. A few days before closing, the buyer will receive a disclosure document that shows the amount due at closing. 5. Time to close! This is the final step in the California escrow process, and the most important. At this stage, the homebuyer will provide a check for the closing costs that are due. The homebuyer and seller will sign a variety of documents relating to the sale. The title or escrow company will update the status of the title to reflect the transfer of ownership. Mortgage documents will be returned to the lender after they have been signed, and shortly after that, the lender will release the funds. In California, the real estate escrow process can take around 30 to 40 days on average. It can go longer in the case of a more complicated transaction. It can also happen faster if everything goes smoothly. How long it takes to close escrow in California can vary based on many factors. For example, some homes clear the title search process without any issues. Other properties might have title “defects” (such as a lien or legal judgment) that require additional research. In most cases, however, escrow can be closed successfully within the agreed upon period specified in the contract. It’s only in unusual circumstances that things get delayed to the point of rescheduling the closing. As a homebuyer, the best thing you can do during the escrow process is to stay in close contact with your mortgage company. Also, if any issues or requests for additional information do arise, respond as quickly as possible. This will help keep the closing on track – which is what everyone wants. Adapted from an article on bpfund.com by Mike Trejo.